Robotic surgery is a kind of high tech surgical technique that allows for smaller incisions. 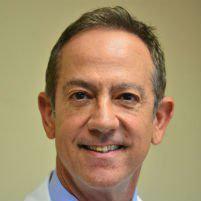 Dr. Moses Fallas is a general surgeon serving the West Los Angeles area in Beverly Hills, CA who performs robotic surgery for patients of all types. How Are Laparoscopic Surgery and Robotic Surgery Different? In a conventional laparoscopic surgery, the doctor needs to balance his gaze between the surgical instruments he is using and the separate video monitor that displays the patient's inner organs. In robotic surgery, the surgical instruments are held by robotic arms. These robotic arms are attached to the cameras as well. The surgeon will control a console next to the patient. From this console, the surgeon can precisely control all movements of the robotic arms while having an up-close view on the video monitor. Is Robotic Surgery Minimally Invasive? Yes, robotic surgery is one of the most minimally invasive ways to do even complex surgeries today. While an incision in a traditional open surgery could be as much as 10 inches long, the robotic surgery incisions are tiny. In fact, these incisions are often only around the size of a dime. The much smaller incisions will typically heal faster, will cause less bleeding, and will cause much less pain post-surgery than the larger incisions would. What Is the Recovery Process After Robotic Surgery? Robotic surgery recovery time will vary depending upon the operation performed. In general, the recovery rate after robotic surgery is far faster than that of open surgery. Some patients will be able to return to their usual routine within days if the surgery is a minor one. Even in the case of more major surgeries like robotic gallbladder surgery, the recovery can be only around a week. Often, patients who have robotic surgery are able to return home the same day of the surgery once they are out of recovery. At most, some patients who undergo robotic surgery may need to stay one night in the hospital, while open surgery patients could spend two to three days in the hospital at a minimum.